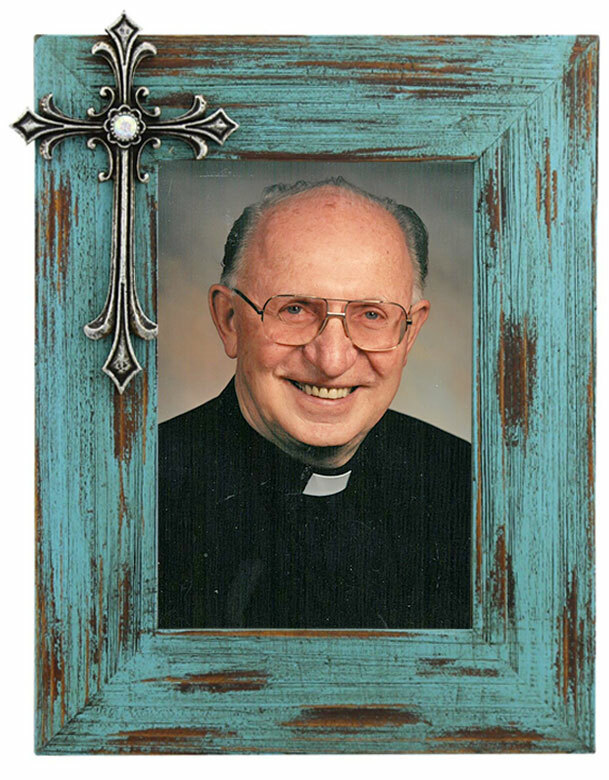 Monsignor Valentine (Val) Sheedy died on Saturday, July 14, 2018. He was 91. Please pray for the repose of the soul of Monsignor Valentine Sheedy. He was born on January 23, 1927 in Feakle, County Clare, Ireland to Jeremiah and Lillian (McGrath) Sheedy. He was the third child, second son, in a family that eventually had six sons and three daughters. As a young man, he was known for his love of sports. He was a star athlete in sprinting, hurling and rugby, but always felt a calling for something more in his life. Near the end of his boarding school years, one of his teachers, a priest from the Congregation of the Holy Ghost Fathers, encouraged him to consider the priesthood. He studied at University College in Dublin and received his bachelor degrees in English and Philosophy from the Holy Ghost Seminary in Kimmage Manor, Dublin. Monsignor Sheedy was ordained on July 3, 1955. Shortly after, he was sent to the Owerri Diocese in Eastern Nigeria (at that time called Biafra) to teach. He remained in the country for 12 years until civil war forced him and other missionaries to leave. Monsignor Sheedy arrived in the Diocese of St. Augustine in 1967 and was incardinated into the Diocese of Orlando on February 16, 1973. Monsignor Sheedy served at four parishes – as assistant pastor at St. Joseph Parish in Palm Bay and Blessed Trinity Parish in Orlando, and as pastor at Ascension Parish in Melbourne, and Resurrection Parish in Lakeland. He was responsible for building and expanding schools and parishes at both Ascension and Resurrection. Monsignor Sheedy also served as Vicar Forane of the Southern Deanery of the Diocese of Orlando; as a member of the College of Consultors; a board member of Melbourne Central Catholic High School; and oversaw the establishment of the RENEW program in the Diocese of Orlando. Monsignor Sheedy died in Chicago on Saturday, July 14. He is survived by his brothers, Declan M. Sheedy, and sister-in-law, Susan Sheedy, Kieran Sheedy, sister-in-law, Terry, Dermot Sheedy, sister-in-law, Marie; nephew, Dermot, and his wife, Cathy, and their children.